I've been meaning to learn how to crochet for a while now. Thing is... it always slips to the end of the 'To Learn List' - too many other things creep up and take it's place. And I've been lucky enough that all of the people I've had to help at the yarn shop (thus far) have needed assistance with knitting projects. But a couple of weeks ago I had a co-worker ask if I could help out a customer with a lesson on crocheting... and I sort of freaked. I would LOVE to help someone. I love helping and teaching people (after all, it's what I do in library/clinical terminology-land (you know, my "main" job) and at the yarn shop). So I felt a little useless not being able to help someone when they wanted to learn. An hour or so later I opened up Facebook and guess what smacked me in the face - A big huge advertisement to learn how to crochet. Grrr you Google, Facebook and other personal data analyzing applications! (Although honestly, from a data perspective I would LOVE to learn how to code and then analyze those data-crunching algorithms!). So Mr. Google and Mr. Facebook have spoken. But the fact that I learned how to do it is a little amazing. One afternoon I got dropped off at the shop early and decided to pull up YouTube, a crochet hook and some yarn. And with a little guidance from a co-worker (thank you Susan!) I was off! It took a couple tries. And with the careful directions from Naztazia on Youtube, I was able to crochet this simple ball. 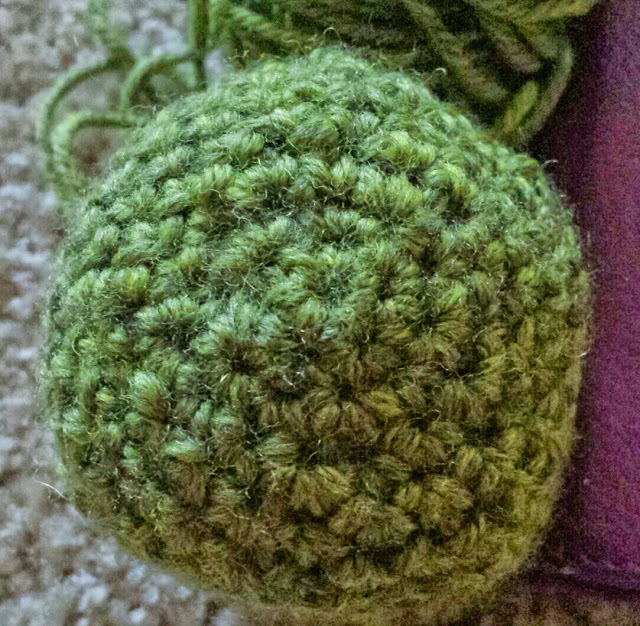 I even learned how to crochet the magic ring! Naztazia's Youtube page has a nice video on how to crochet the magic ring as well. So now I'm off to new adventures with a new fiber art technique in my tool belt! 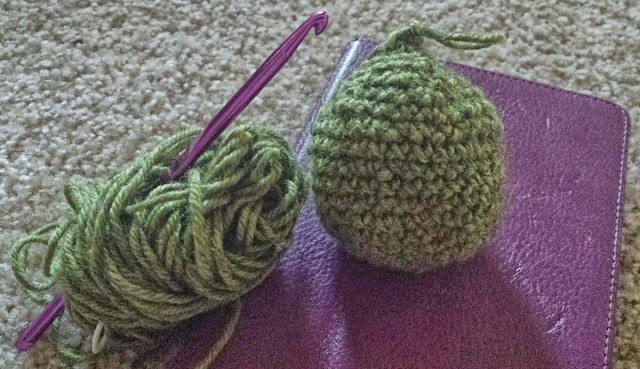 I'm going to attempt another crochet project soon. Stay tuned!